Threading is an ancient method of hair removal which originated in the Middle East and is gaining rapid popularity in Western countries. Practitioners use pure, thin, twisted cotton thread which is rolled over untidy hairlines, lifting the hair at the follicle level. Threading can remove an entire row of hair, creating a very sharp and precise hairline for perfect brows! This is an exciting new, pain-free treatment designed to add length and thickness to your natural eyelashes without having to use mascara. There are different options of extensions depending on the effect you want to achieve. 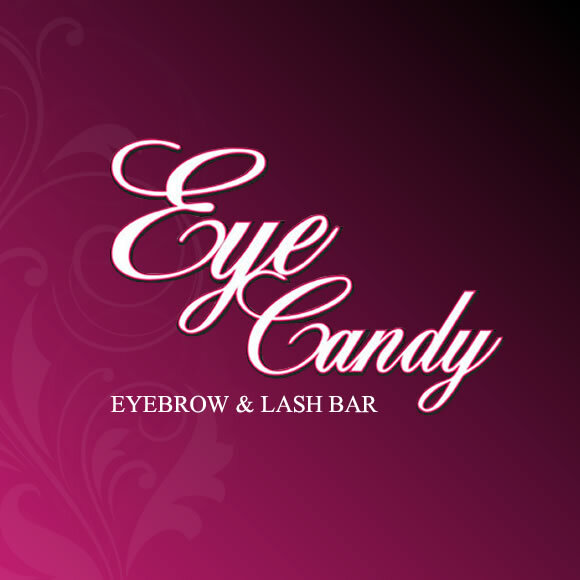 Our Eye Candy browbar offers 24 hours free backup service. Individual hairs of varying lengths are attached to your own lashes so some of the shorter, natural hairs are slightly visible in between. These lashes can last up to 4 weeks with regular maintenance. Clusters of lashes are attached to your natural lashes to give instant volume and length. This treatment time lasts just 20 to 25 minutes with lashes lasting up to 4 weeks. Strip extensions can simply be applied and enjoyed for up to 12 hours and then easily removed. For a glamorous look, these are ideal for a special event. Using a revolutionary treatment technique, a single synthetic lash is attached to your own natural lash hair so they look and blend in naturally with your own. Each hair sits on your own lash and gives length and volume and a natural look. A patch test must be taken 24 hours before treatment. These lashes can last up to 3 months with regular maintenance. An appointment must be booked for this treatment.